In the past 50 years, measuring the sustainability of plastic packaging has been centralized on recyclability. This multi-billion-dollar effort has resulted in less than 10% of plastics being recovered and recycled. As the field of sustainability is maturing, the approach is evolving to a more holistic approach that considers the environmental impact of the product throughout its entire life-cycle. An encompassing approach is critical in making sound decisions that have impact, however not everyone is on board and some that represent the recycling industry are in a downright panic. While I understand that Alexander’s job and the entire APR organization’s existence is completely dependent on the continued focus on recycling as the primary directive of sustainability, it is disheartening to see such a blatant disregard for achieving more sustainable communities. The hard-line approach by APR that recycling is the basis of sustainability demonstrates the complete refusal to accept the complex nature of sustainability and the science and data behind sustainable materials management. Sustainable Materials Management (SMM) is an approach that evaluates a product across the entire life-cycle; sourcing, manufacturing, use and discard. SMM has provided alarming insight to many traditional approaches that while appeared beneficial were in fact environmentally detrimental. It is this reason that the EPA, waste companies and many brands are shifting from the archaic simplistic approach of simply recycling to the encompassing approach of SMM that utilizes science and data to drive true environmentally sustainable approaches. Contrary to what Alexander and APR may promote, from a full life-cycle analysis approach, recycling is not synonymous with sustainability. In most instances, converting from recyclable rigid packaging into non-recyclable multi-layer flexible packaging is the optimal solution. There are some specific instances where using recyclable packaging is more beneficial, but this is not the majority. As sustainability leaders, each of us must be willing to question traditional approaches and adopt methods that provide measurable results which are validated with data to provide environmental value. We must follow the science and data to create a sustainable future. And, we must at times make difficult decisions and admit when we have taken the wrong approach – even when it doesn’t benefit our pocketbook. It borderlines dangerous and irresponsible to push solutions simply because consumers feel they are sustainable when in fact they have a significant negative environmental and financial impact to the environment and our communities. 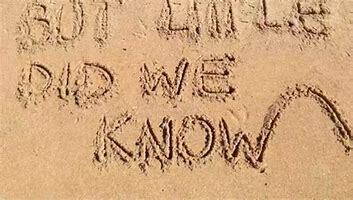 Your actions and statements seem to provide a clear answer. 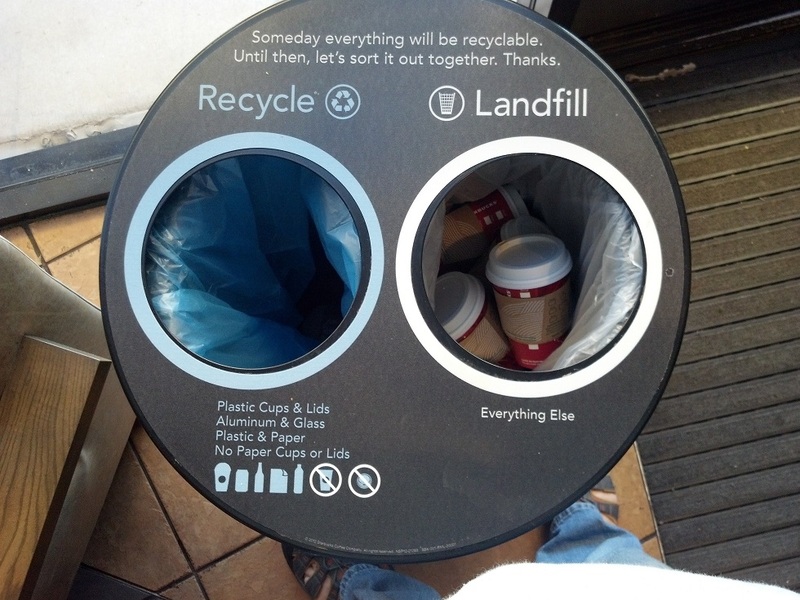 This entry was posted in Environmental News, Recycling and tagged APR, recycling, sustainability on November 14, 2018 by Teresa Clark. Last week I was reading the European Federation of Waste Management and Environmental Services (FEAD) assessment that the EU will need to invest up to $12 Billion (€10 Billion) to innovate and expand the separate collection, sorting and recycling capacity to reach the EU landfill diversion targets for plastic packaging. I had to pause and reread the figure; $12,000,000,000?? I understand the desire to increase recycling, but at what cost do we stop pushing blindly forward and begin to compare the alternatives? The latest report from PlasticsEurope states that there was a total of 16.7 million tonnes of plastic packaging waste in the EU. 6.8 million tonnes of it was recycled. That leaves 9.9 million tonnes that would still need to be recycled to reach the proposed 100% recycling of plastic packaging. According to FEAD it will cost up to $12 billion to build the infrastructure to collect, sort and recycle this 9.9 million tonnes using traditional recycling methods. This breaks down to an annual cost of $1200 per tonne to recycle this material. Even if they were to expand that expense over 10 years of recycling plastic packaging, it would still cost $120 per tonne. As an alternative, let’s calculate the numbers when designing plastic packaging with the existing infrastructure in mind. Most plastic packaging is discarded into a landfill. Modern technology allows for plastics to be converted into biogas within these landfills. Subsequently, the landfills are currently harnessing this biogas for auto fuel and energy. The result is recycling waste plastic by conversion to energy. Sounds like a simple solution, but do the numbers add up? Incorporating the technology to recycle plastics to biogas costs an average of $120 per tonne. The infrastructure and collection are already in place so there is no additional expense. The value of the biogas energy produced is $550 per tonne. This leaves a net income of $430 per tonne of plastic packaging. For 9.9 million tonnes of plastic packaging the income would be $4,300,000,000 each year. Expanding that over 10 years would be a net benefit of $43 Billion. 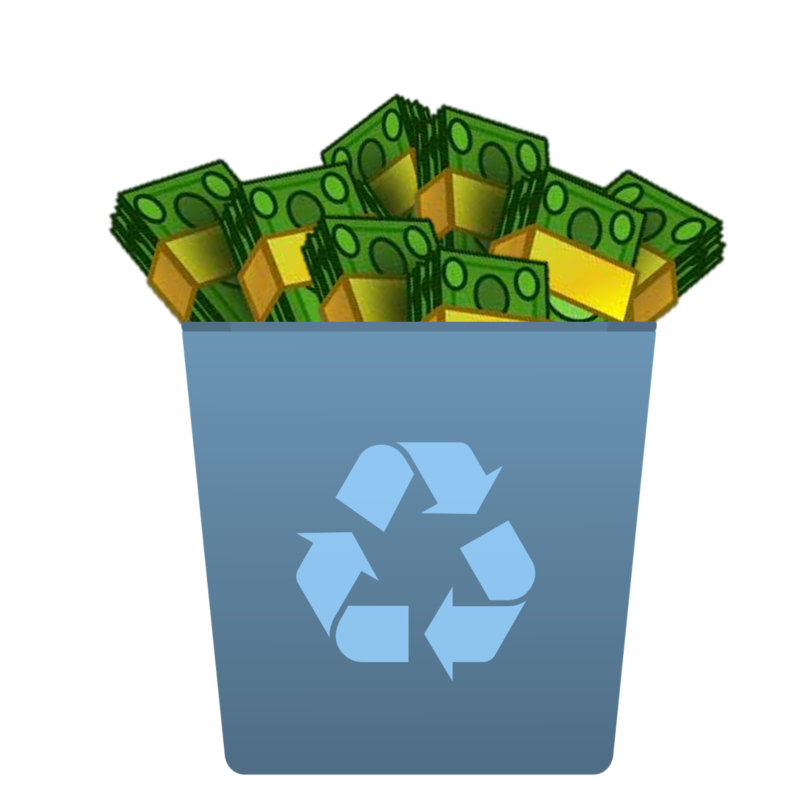 So, the question: Is it better to spend $12 billion for traditional recycling or earn $43 billion by combining traditional recycling with energy recycling? This entry was posted in Biodegradation, Environmental News, Recycling, Thought Provoking and tagged energy, landfill, money, recycle on July 14, 2018 by Teresa Clark. In a recent article by Laura Parker, “You Can Help Turn the Tide on Plastic. Here’s How,” 6 feeble recommendations are provided for consumers, none of which will turn any tide on the plastic pollution problem. I understand Laura Parker may not be an expert in this field, but when it comes to the sustainable management of plastics, can we stop the stupidity? For example, Laura Parker begins with the blanket statement, “The industry is debating on what biodegradable means.” Really, what industry? If Sustainable Packaging is your expertise and you do not understand the difference between [Anaerobic] Biodegradation, Compostable, Degradable and how today’s waste is being Managed, you might be out of your depth and in need of a career change. For those of us in the field of sustainability there is no debate on what biodegradability means as this is a scientific process with industry testing standards structured to test and validate biodegradation in these types of environments. Or this drivel, “Biodegradables don’t live up to their promise, for example, in the dark, oxygen-free environment of a commercial landfill…” The general term means little, but when backed by scientific data to support the claim, like internationally recognized ASTM D5526 testing standards, guess what? It does biodegrade in landfills (ANAEROBICALLY MANAGED). When it comes to the management of our waste, the “open environment” should never be an acceptable option or target for discard – do not litter, remember? Also, aiming and designing for Industrial Composting is irrational, sacrifice the entire supply chain and product performance, for what? Plastics don’t end-up there and they do not make compost, where’s the value? Then there’s the “Circular Economy” theory, which makes sense, but let’s be clear, the “New Plastics Economy” does not – at all! Nearly 50 years of a massive effort to propagate and encourage the recycling of plastics and today the industry is in complete collapse. Yet, with no shame, companies double-down on this nonsense, telling consumers that its plastic packaging will be “100% recyclable/reusable” in 7 years! 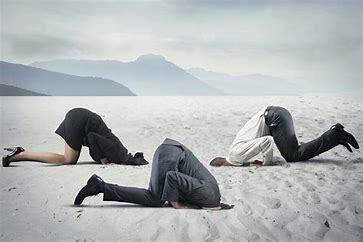 The 2 biggest “BS”-ables in Sustainable Packaging and the root cause of why the recycling industry has been destroyed – but Nero keeps fiddling! Why do we insist on science and data to back up biodegradation, but use no science and data to back up plastic recycling? 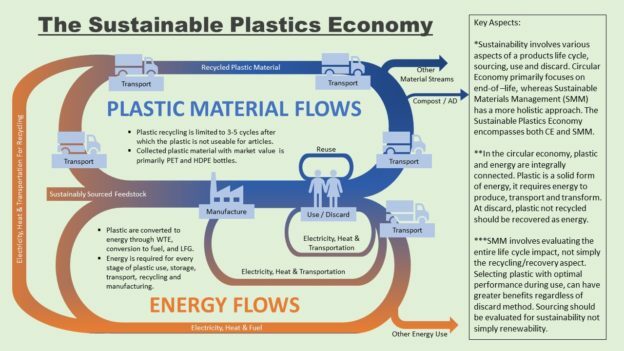 What needs to be achieved is a Sustainable Plastics Economy. Every plastic application cannot be recycled into another plastic application and plastics cannot be recycled indefinitely. However, if “Zero-Waste” is the goal, value must be derived from the entire lifecycle of the application, not just material recycling, but end-of-life and chemical recycling as well, ensuring conversion into useful Energy. This happens by taking the contamination factor out of the primary method in which plastic waste is discarded and can be managed. Sustainable Packaging 101: Stop blaming consumers and take accountability. Companies need to define the primary MANAGED-WASTE method for its products and packaging and make sure (using science and data) that it works in that system. This entry was posted in Biodegradation, Compostable Plastics, Environmental News, Plastic news, Recycling, Testing and Data, Thought Provoking and tagged biodegradable, biodegradable plastics, clean energy, plastic pollution on May 31, 2018 by paul.wightman. IF you live in the United States, you probably do some form of recycling. It’s likely that you separate paper from plastic and glass and metal. You rinse the bottles and cans, and you might put food scraps in a container destined for a composting facility. As you sort everything into the right bins, you probably assume that recycling is helping your community and protecting the environment. But is it? Are you in fact wasting your time? In 1996, I wrote a long article for The New York Times Magazine arguing that the recycling process as we carried it out was wasteful. I presented plenty of evidence that recycling was costly and ineffectual, but its defenders said that it was unfair to rush to judgment. Noting that the modern recycling movement had really just begun just a few years earlier, they predicted it would flourish as the industry matured and the public learned how to recycle properly. While politicians set higher and higher goals, the national rate of recycling has stagnated in recent years. Yes, it’s popular in affluent neighborhoods like Park Slope in Brooklyn and in cities like San Francisco, but residents of the Bronx and Houston don’t have the same fervor for sorting garbage in their spare time. Recycling has been relentlessly promoted as a goal in and of itself: an unalloyed public good and private virtue that is indoctrinated in students from kindergarten through college. As a result, otherwise well-informed and educated people have no idea of the relative costs and benefits. They probably don’t know, for instance, that to reduce carbon emissions, you’ll accomplish a lot more by sorting paper and aluminum cans than by worrying about yogurt containers and half-eaten slices of pizza. Most people also assume that recycling plastic bottles must be doing lots for the planet. They’ve been encouraged by the Environmental Protection Agency, which assures the public that recycling plastic results in less carbon being released into the atmosphere. But how much difference does it make? Here’s some perspective: To offset the greenhouse impact of one passenger’s round-trip flight between New York and London, you’d have to recycle roughly 40,000 plastic bottles, assuming you fly coach. If you sit in business- or first-class, where each passenger takes up more space, it could be more like 100,000. Even those statistics might be misleading. New York and other cities instruct people to rinse the bottles before putting them in the recycling bin, but the E.P.A.’s life-cycle calculation doesn’t take that water into account. That single omission can make a big difference, according to Chris Goodall, the author of “How to Live a Low-Carbon Life.” Mr. Goodall calculates that if you wash plastic in water that was heated by coal-derived electricity, then the net effect of your recycling could be more carbon in the atmosphere. To many public officials, recycling is a question of morality, not cost-benefit analysis. Mayor Bill de Blasio of New York declared that by 2030 the city would no longer send any garbage to landfills. “This is the way of the future if we’re going to save our earth,” he explained while announcing that New York would join San Francisco, Seattle and other cities in moving toward a “zero waste” policy, which would require an unprecedented level of recycling. The national rate of recycling rose during the 1990s to 25 percent, meeting the goal set by an E.P.A. official, J. Winston Porter. He advised state officials that no more than about 35 percent of the nation’s trash was worth recycling, but some ignored him and set goals of 50 percent and higher. Most of those goals were never met and the national rate has been stuck around 34 percent in recent years. One of the original goals of the recycling movement was to avert a supposed crisis because there was no room left in the nation’s landfills. But that media-inspired fear was never realistic in a country with so much open space. In reporting the 1996 article I found that all the trash generated by Americans for the next 1,000 years would fit on one-tenth of 1 percent of the land available for grazing. And that tiny amount of land wouldn’t be lost forever, because landfills are typically covered with grass and converted to parkland, like the Freshkills Park being created on Staten Island. The United States Open tennis tournament is played on the site of an old landfill — and one that never had the linings and other environmental safeguards required today. Though most cities shun landfills, they have been welcomed in rural communities that reap large economic benefits (and have plenty of greenery to buffer residents from the sights and smells). Consequently, the great landfill shortage has not arrived, and neither have the shortages of raw materials that were supposed to make recycling profitable. With the economic rationale gone, advocates for recycling have switched to environmental arguments. Researchers have calculated that there are indeed such benefits to recycling, but not in the way that many people imagine. Most of these benefits do not come from reducing the need for landfills and incinerators. A modern well-lined landfill in a rural area can have relatively little environmental impact. Decomposing garbage releases methane, a potent greenhouse gas, but landfill operators have started capturing it and using it to generate electricity. Modern incinerators, while politically unpopular in the United States, release so few pollutants that they’ve been widely accepted in the eco-conscious countries of Northern Europe and Japan for generating clean energy. Moreover, recycling operations have their own environmental costs, like extra trucks on the road and pollution from recycling operations. Composting facilities around the country have inspired complaints about nauseating odors, swarming rats and defecating sea gulls. After New York City started sending food waste to be composted in Delaware, the unhappy neighbors of the composting plant successfully campaigned to shut it down last year. THE environmental benefits of recycling come chiefly from reducing the need to manufacture new products — less mining, drilling and logging. But that’s not so appealing to the workers in those industries and to the communities that have accepted the environmental trade-offs that come with those jobs. Nearly everyone, though, approves of one potential benefit of recycling: reduced emissions of greenhouse gases. Its advocates often cite an estimate by the E.P.A. that recycling municipal solid waste in the United States saves the equivalent of 186 million metric tons of carbon dioxide, comparable to removing the emissions of 39 million cars. According to the E.P.A.’s estimates, virtually all the greenhouse benefits — more than 90 percent — come from just a few materials: paper, cardboard and metals like the aluminum in soda cans. That’s because recycling one ton of metal or paper saves about three tons of carbon dioxide, a much bigger payoff than the other materials analyzed by the E.P.A. Recycling one ton of plastic saves only slightly more than one ton of carbon dioxide. A ton of food saves a little less than a ton. For glass, you have to recycle three tons in order to get about one ton of greenhouse benefits. Worst of all is yard waste: it takes 20 tons of it to save a single ton of carbon dioxide. Once you exclude paper products and metals, the total annual savings in the United States from recycling everything else in municipal trash — plastics, glass, food, yard trimmings, textiles, rubber, leather — is only two-tenths of 1 percent of America’s carbon footprint. As a business, recycling is on the wrong side of two long-term global economic trends. For centuries, the real cost of labor has been increasing while the real cost of raw materials has been declining. That’s why we can afford to buy so much more stuff than our ancestors could. As a labor-intensive activity, recycling is an increasingly expensive way to produce materials that are less and less valuable. Recyclers have tried to improve the economics by automating the sorting process, but they’ve been frustrated by politicians eager to increase recycling rates by adding new materials of little value. The more types of trash that are recycled, the more difficult it becomes to sort the valuable from the worthless. In New York City, the net cost of recycling a ton of trash is now $300 more than it would cost to bury the trash instead. That adds up to millions of extra dollars per year — about half the budget of the parks department — that New Yorkers are spending for the privilege of recycling. That money could buy far more valuable benefits, including more significant reductions in greenhouse emissions. So what is a socially conscious, sensible person to do? It would be much simpler and more effective to impose the equivalent of a carbon tax on garbage, as Thomas C. Kinnaman has proposed after conducting what is probably the most thorough comparison of the social costs of recycling, landfilling and incineration. Dr. Kinnaman, an economist at Bucknell University, considered everything from environmental damage to the pleasure that some people take in recycling (the “warm glow” that makes them willing to pay extra to do it). He concludes that the social good would be optimized by subsidizing the recycling of some metals, and by imposing a $15 tax on each ton of trash that goes to the landfill. That tax would offset the environmental costs, chiefly the greenhouse impact, and allow each municipality to make a guilt-free choice based on local economics and its citizens’ wishes. The result, Dr. Kinnaman predicts, would be a lot less recycling than there is today. Then why do so many public officials keep vowing to do more of it? Special-interest politics is one reason — pressure from green groups — but it’s also because recycling intuitively appeals to many voters: It makes people feel virtuous, especially affluent people who feel guilty about their enormous environmental footprint. It is less an ethical activity than a religious ritual, like the ones performed by Catholics to obtain indulgences for their sins. Religious rituals don’t need any practical justification for the believers who perform them voluntarily. But many recyclers want more than just the freedom to practice their religion. They want to make these rituals mandatory for everyone else, too, with stiff fines for sinners who don’t sort properly. Seattle has become so aggressive that the city is being sued by residents who maintain that the inspectors rooting through their trash are violating their constitutional right to privacy. But cities have been burying garbage for thousands of years, and it’s still the easiest and cheapest solution for trash. The recycling movement is floundering, and its survival depends on continual subsidies, sermons and policing. How can you build a sustainable city with a strategy that can’t even sustain itself? 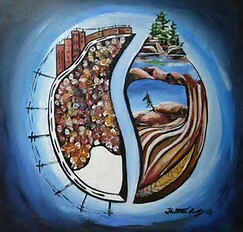 This entry was posted in Latest Blogs, Recycling, Thought Provoking and tagged is recycling a moral issue, is recycling dead, is recycling environmental, recycling issues, recycling not as environmental as you think, the reign of recycling, the religion of recycling on September 13, 2017 by danny.clark. 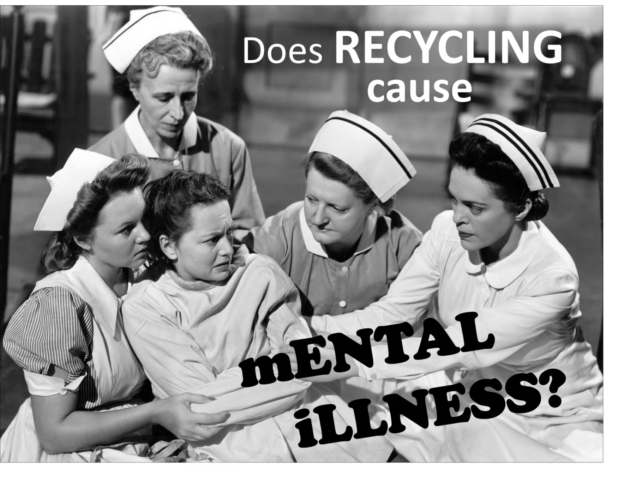 Does recycling cause mental illness? In psychology, there is a mental illness or mental disorder called Delusional Disorder. The main feature of this disorder is the presence of delusions, unshakable beliefs in something untrue or not based on reality. Over the past forty years there has been a growing increase in the feel-good result of recycling. Many sustainability managers today approach sustainability as being synonymous with recycling. The idea is that we should recycle everything no matter the economic or environmental costs. We should do it because it “feels” like the right thing to do. But none of this is based on facts, data or science. In fact, the data and science tell us otherwise and points to the dark side, that this delusional approach of “recycle everything no matter the cost” creates more environmental and economic harm than doing nothing. Over the past forty years we have subsidized billions on top of billions of dollars, and have increased taxes (bottle bills, bag fees) to subsidize plastics recycling. The result? An industry that doesn’t and wouldn’t survive on its own, recycles less than 10% of our overall plastics and hasn’t even remotely fixed, solved, or made a dent in plastic pollution. All this time, effort and billions of dollars have not even begun to make a positive impact in the massive amounts of coffee pods, sachet packets, personal care packaging and products, zipper bags, plastic bags, plastic film, foam coffee cups, foam and plastic soda cups, lids, straws, utensils, food and product packaging, Styrofoam….. The list goes on and on, to the tune of billions upon billions of these items being disposed of each year and increasing, mind you, because we are adding more and more people to the planet and we continue to consume more and more stuff. None of the efforts that have been made thus far, or that are currently being proposed, to recycle these items have or will change the direction we have been on and are currently heading in. When sustainability managers develop, and implement ideas and programs such as bring back programs which require additional infrastructure for managing, shipping, transportation to processors which will address less than 5% of a company’s plastic packaging and do so because it feels good or sounds good but neglects the use of facts and data to validate that the overall environmental impact is beneficial, these kinds of programs are hopeful or wishful thinking at best. One might even ask how it’s possible to perform the responsibility of sustainability guardian’s without the use of facts, data and science? How does one solve a problem of this magnitude neglecting science and data and facts? This “feel good” approach to recycling has resulted in some people becoming mentally ill with Delusional Disorder. So how do we begin to move in a direction to fix this mental illness? How do we open the eyes of those with Delusional Disorder and get them to start using facts, data and science to develop solutions that will have true environmental benefits and value? Delusional disorder is considered difficult to treat. Antipsychotic drugs, antidepressants and mood-stabilizing medications are frequently used to treat this mental illness and there is growing interest in psychological therapies such as psychotherapy and cognitive behavioral therapy (CBT) as a means of treatment. These treatments would take years to get society back on track with using science, data and facts in our solutions to addressing humanities plastic waste problem. So how do we (as a society) effectively and quickly treat this widespread mental illness before it’s too late for the environment? We must begin to make reality based science and data driven decisions and develop solutions that will address the plastic waste we humans continue to produce, use and discard so that we can move in the direction of making real positive changes that will have true environmental value and benefit, instead of the delusion of acting on what might feel good but will ultimately never solve plastic pollution. This entry was posted in Environmental News, Green Living, Latest Blogs, Recycling, Thought Provoking and tagged recycling and mental illness, recycling lies, recycling myth, recycling will not solve plastic pollution, truth about recycliing on June 14, 2017 by danny.clark. When the Circular Economy model was introduced, it was built on finding ways to recoup value, especially as it pertains to the end-of-life. It was about finding ways to derive growth and increase value from existing infrastructures. Better value propositions with predictable results. It was an ‘all options on the table’ approach to looking at our resources through a different lens to ensure materials are “cycling” at the highest level possible, at all levels. Then, the “New Plastics Economy” emerged and something’s not adding up. I know this is going to be confusing to some, but we absolutely cannot and will not be able to recycle our way out of the negative environmental impact plastics are causing. At their end of use, plastic can be captured, sorted, and it can be processed, all of which takes immense amounts of resources. But in the end, if the commodity is worth less than the processing costs, it’s an exercise in futility. It doesn’t make sense, if it doesn’t make cents. Besides, recycling only extends the life of plastics (limited in cycles); it is not an end-of-life solution. Companies like Waste Management (the largest residential recycler) have openly admitted this challenge and fully disclose that, if you want it to be “recycled” it’s fine by them, but both the processing costs and the profits will be baked into the contract… This does not mean that those non-recyclable plastics will get recycled into new products, just simply collected and processed over into the landfill. And what’s the single largest recycler on the planet telling those in sustainability circles? If they really want the “biggest bang for the buck environmentally,” they should be focusing on the innovations within their “large-scale mixed-waste anaerobic digesters.” Actually, they say “today’s modern landfills,” but the word “landfill” can be a trigger word for some people. Nevertheless, this industry has harnessed economies of scale and science, improving landfills and making “garbage dumps” a thing of the past. Today’s highly engineered modern landfills operate under strict federal and state regulations to ensure the protection of health and the environment. Today, 85% of U.S. municipal solid waste (including the vast majority of plastics) ends-up in landfills that trap gases which generate power for industries, provides heat for homes and clean burning fuel for vehicles. The industry is also advancing carbon sequestration in landfills, preventing carbon from re-entering the atmosphere. Ironically, the New Plastics Economy paints itself as the group that’s all about exploring and driving innovation to solve the issues we face, even going as far as offering a $2 million dollar award. While at the same time, blatantly dismissing the innovations that are available today. Being unwilling to recognize and utilize the advances that are available to elevate the actual end-of-life value seems to be extremely shortsighted for any economic platform, especially when that value-add is ENERGY. By simply ensuring materials are designed for the ENERGY value that today’s modern landfills provide, not only could we begin to eliminate plastic waste from our environment, but those 64 billion lbs. of plastic going into a landfill each year has a value of over $15.5 billion in base load clean renewable ENERGY – predictable and measurable. Most importantly, if the idea is to build a sustainable and thriving economy based on plastics, opposing the ability to include the fundamental aspect of recovering ENERGY at the final stage is an enormous lapse in judgement. ENERGY is one of the single-most important factors in economic growth. By its very nature, our economy is predicated on exponential growth. It is under constant pressure by many factors such as debt and population growth to continually and infinitely expand. What many policy makers and, by extension, people, don’t understand is that continued economic growth in our current system is completely reliant on a continuing increase in the availability of ENERGY to perform work. One cannot collect materials for recycling, process recyclate, nor make new products from recycled material without ENERGY. The last two hundred years of accelerated growth in mankind’s numbers and achievements were only made possible by cheap, easily available fossil fuels. It’s been reported that in the next 20 years we will need to harness 50% more ENERGY to support our economy. Everything, including the lifecycle of plastics, should be tied to utilizing the resources we have today to produce clean renewable ENERGY in the most cost effective manner as we possibly can. The New Plastics Economy states that the reinforcing of recycling is economically more attractive than ENERGY recovery. Systematically, this is not true and flies in the face of the Circular Economy model which is meant to replicate the nutrient cycles in nature. Most all carbon materials in nature are converted into energy during their natural nutrient cycle. Plastics should be no different. Prosperity and the conservation of our planet will not be reached with platitudes about theoretical innovations in this theoretically-flawed New Plastics Economy. This entry was posted in Biodegradation, Recycling and tagged Alternative Energy, Anaerobic Environment, biodegradable plastics, sustainability on May 19, 2017 by paul.wightman. For consumers, the recycling process begins and ends the moment they place a used plastic bottle in the bin. For brands and bottle manufacturers, that process is considerably more complex. 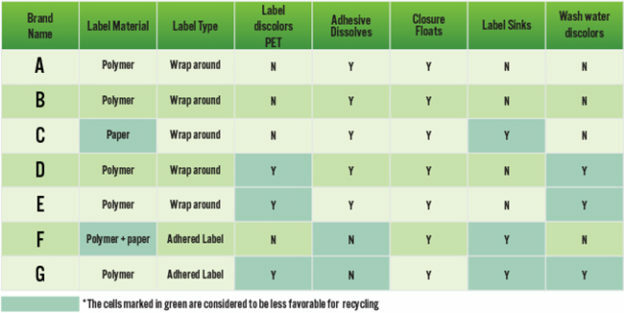 And as a movement towards sustainability and waste reduction continues to shape the industry, both are taking a closer look at how physical characteristics, design, and supplemental materials like ink and glue can affect the recyclability of bottles made with polyethylene terephthalate (PET). Plastic Technologies Inc. (PTI), a firm that provides package design, development and engineering services to bottle manufacturers, explored this issue in a recent study analyzing how PET bottle weight affects performance, cost, and environmental impact, as well as how other design decisions influence recyclability. The results concluded that ultra-lightweight bottles can negatively impact the effectiveness of recycling systems, while showing that the a majority of the bottles tested showed significant issues in recyclability, based on Association of Plastic Recyclers (APR) guidelines. The study analyzed 500mL PET bottles, sold individually at room temperature, from the highest bottled water consumption regions where market-leading global brands are sold, including the U.S., Mexico, Europe (France, Italy, Switzerland), and India. Each were tested for weight, pressure, product volume, fill point, top load, thickness, section weights, color and closure types. In an interview with BevNET, Marcio Amazonas, Director of Latin American Operations for PTI, said that study was partially intended to send a message to the category market leaders that good design, in terms of recyclability, can be a positive influence on the industry. Weight is a crucial factor in determining bottle recyclability, but it has also increasingly become a way in which brands communicate a premium offering to consumers, and attempting to balance these two competing interests can make things even more complicated. The samples evaluated from the U.S. reflected this stratification. Out of the seven, two samples came from premium-priced packages sold in 6-packs, which were around 22-23 g. The rest came from bottles of mid-range priced water, weighing 13-17 g, and value-priced bottles, weighing 7.5 to 8.5 g.
However, the study notes that the performance was not a direct correlation to the weight of the package. In recent years, some brands, such as Nestlé Waters, have adopted ultra-thin, super lightweight bottles based on the idea that they are more environmentally friendly because they require less energy to manufacture and transport. Yet according to Amazonas, recyclers are complaining about problems related to those bottles as well. For example, lighter packaging can increase the number of bottles entering the recycling stream; Amazonas estimated that it could add 10,000 bottles per ton of recyclable materials. Furthermore, when labels are sorted in a process called elutriation, they are soaked in a large tank of water to separate PET from polyolefins. Afterwards, an air current dries the materials and pushes the labels out of the chamber, but if the bottle is too light, it will be forced out as well. “The yields suffer not only because of the potential presence of non-PET, but also mechanically speaking, the process is designed for a certain density that suffers with this lightweighting,” said Amazonas. Besides weight, Amazonas noted that ink and label type as other potentially disruptive factors to the recycling process, as materials, colors, sizes and even the label application process all have an impact. Of the seven U.S. samples tested, five had polymer labels, one had paper and one had a combination of the two. Five out of seven samples used a wrap-around label, while two used an adhered label. In terms of solutions, Amazonas said the ideal PET bottle from a recyclability perspective would be clear with no colorants and none of the chemical additives that are sometimes used to create a barrier between the plastic and the liquid in bottles of milk or juice. On a moral level, he noted the efforts of regulatory agencies like the Environmental Protection Agency (EPA) in promoting sustainable materials management, and said that brands will seek to capture the market of conscious consumers who expect recyclability to be a key component of a company’s mission. Yet despite his deep knowledge of the industry, Amazonas said that the most important logistical piece of the recycling process is the simple act of the consumer throwing the bottle into the collection bin. This entry was posted in Environmental News, Latest Blogs, Recycling, Thought Provoking and tagged light weight bottles, PET bottle recycling, Recyclability issues, recycling, recycling issues on April 12, 2017 by danny.clark. Something might be missing in that sustainable packaging playbook. As we embark on 2017 a number of companies have rolled-out their packaging sustainability initiatives. I have to wonder, what the heck are some of them doing? Last I checked the major problem is still the environmental impact that plastic waste is having on our planet – right? I assume so, considering the latest projections estimate more plastic waste in the oceans (by weight) than fish by 2050. Which is plausible since production is through the roof and expected to double in the next 20 years, while we continue to struggle with dismal recovery rates and an antiquated view of recycling. You might have also noticed an increase in the demand for clean, renewable energy. With the world needing to greatly increase energy supply in the future, especially cleanly-generated electricity, this has become a top priority. So, with that being said, how is it that the major producers of single-use plastic packaging seem to be unable to truly define the most common means of disposal and the value that can be achieved by simply complying with this fact? Instead, they continue to irrationally demonize an asset that sits right under their proverbial noses. Let’s try this exercise together. Let’s say you’re one of the giant producers of plastic packaging (Unilever, Coca-Cola, General Mills, Nestle, Pepsico, Kraft) and I were to ask you, what’s the most common disposal method of the plastic packaging you produce? The collective and honest answer, albeit extremely basic, is a landfill. However, before panic sets in over this fact, let’s take a moment to define this a little more accurately. Because today, 85% of all municipal solid waste in the U.S. actually ends-up in well-managed and heavily regulated anaerobic environment that controls and converts biogas into clean renewable energy. This is a fact and these facilities are generating power for communities and businesses, providing heat for homes and fuel for vehicles. Can we stop pretending that this is a mystery? Recognize the innovations around how we manage waste and see what’s happening today. GM harnesses landfill-gas-to-energy for its 2.08-million square-foot facility reducing greenhouse gas emissions by a whopping 5,000 tons a year! Tammy Giroux, manager of government relations for GM said, “(It’s) good for the environment, good for business and good for the community.” Waste Management’s landfill-gas-to-energy facilities power the equivalent of 470,000 households, offsetting 2.5 million tons of coal and 2.5 million tons of carbon dioxide emissions per year. At the 2016 Resource Recycling Conference in New Orleans, David Steiner (former CEO of Waste Management) specified, “When you combine state-of-the-art landfill gas-to-energy systems with best-in-class recycling…That’s where you get the biggest bang for the buck environmentally.” So why aren’t these major producers of single-cycle packaging including energy recovery as part of the overall “recycling” efforts and ensuring performance compliance with this asset? Please don’t tell me that the molecules that make-up my bag of chips are far too valuable to waste and that it would make more sense to collect, sort and process this material into a worthless commodity rather than ensuring its removed from the environment and converted into energy. Or worse, jeopardize both product stability and performance (including the ability to recycle) to achieve performance compliance with the least common disposal method that offers no end-of-life value. According to the Environmental Research and Education Foundation (EREF), consumers are generating 6 lbs. of waste per day. It would take heavy-handed regulations and stiff government subsidies to program consumers into becoming hyper-vigilant garbage sorters. For the foreseeable future, the political atmosphere does not appear to be conducive for such tactics. We need to be smarter about the options before us and increase the value that can be derived from our existing infrastructures. When high recycling rates are touted around the world, they usually include waste-to-energy. Yet, too many companies still manage to overlook this valuable resource, disregarding the intrinsic environmental and economic benefits that it offers. Hopefully, as we set forth into a new era, more emphasis will be placed on using LCA’s and factual scientific data to address the sustainability challenges we face. 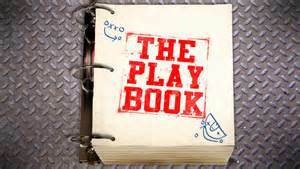 This entry was posted in Biodegradation, Environmental News, Product Innovation, Recycling, Testing and Data and tagged biodegradable, eco-friendly, ENSO Plastics, landfill gas to energy on February 6, 2017 by paul.wightman.